The UFC confirmed the September 29th scrap by re-tweeting the Brit’s post. 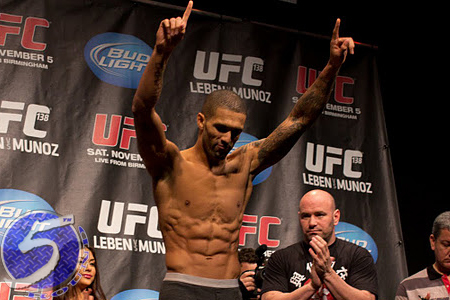 Mills had rattled off five consecutive victories prior to getting steamrolled by fast-rising superstar Rory MacDonald at UFC 145 in April. Ludwig has fallen on some tough times since UFC president Dana White announced in December that his six-second knockout over Jonathan Goulet will now be recognized as the fastest KO in Octagon history. “Bang” is coming off back-to-back defeats to Josh Neer and Dan Hardy, respectively. Ludwig is just 2-4 over his last six outings. Capital FM Arena in Naottingham, England hosts the bash. FUEL TV will broadcast the show’s featured fights live in North America.